You’re standing in a room full of your peers. You’re handed an envelope. Inside that envelope is a glimpse into your professional future. It’s exciting. It’s nerve-racking. And if you’re a medical student, it’s Match Day. If you’re thinking about going to medical school, or already a student, you’ll eventually decide on a specialty. That could be anything from cardiology to oncology. To get those specialized skills after med school, you’ll do a residency where you practice under another doctor’s supervision. When do you get paired with a hospital for your medical residency? That’s where Match Day comes in. The match process can seem complex. First, you would apply to residency programs by using the electronic residency application service (ERAS®). Hospitals will then have access to your application materials, along with those of other medical students. Residency programs will set up interviews with students they’re interested in. Then, after those interviews (of which you should complete several), you and those residency programs will rank your top picks. For you, that means ranking your top pick of programs. For hospitals, that means ranking their top picks for residency candidates. Next, The Match® (from the National Resident Matching Program® or NRMP) uses an algorithm to match medical students with residency programs. Ideally, your top pick programs will have also chosen you as a top pick candidate, and you’ll get matched. But the algorithm works through your ranked list, and theirs, until a match can be made. 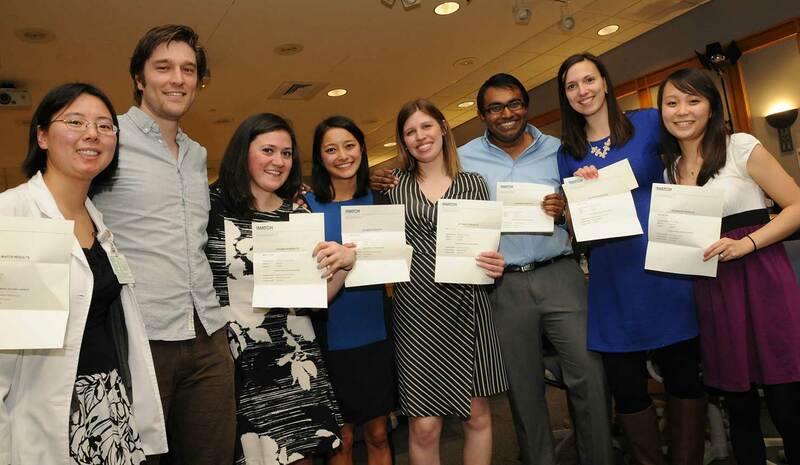 Match Day is the day medical students get to open that envelope telling them which program they’ve matched with – and where they’ll spend their next several years continuing their training. Here are a few match tips to help you get paired with one of your top-ranked residency programs. 1. Keep your mind, and options, open. Don’t get your heart overly set on one residency program (or even one specialty for that matter). Apply to multiple specialties you have an interest in just in case you’re not as competitive as you’d like with your top choice. Also, go on as many interviews as possible. After your interviews, you may have different top-pick programs than you originally expected. 2. Show your best self during your interview. If you want a program director to rank you highly and increase your chances for a match, show up to your interview on time, practice ahead of time to work through nerves, and dress and act professionally. Be someone the interviewer would be proud to work with. 3. Always thank your interviewer. Within a day or two of completing an interview, follow up with a thank you letter to whomever you interviewed with. Thank them for their time and express your gratitude for the opportunity to speak with them and learn more about their residency program. And, of course, emphasize your continued interest in doing your residency with them. These tips will give you a better chance of getting matched with the right residency program. Now, are you ready for Match Day?